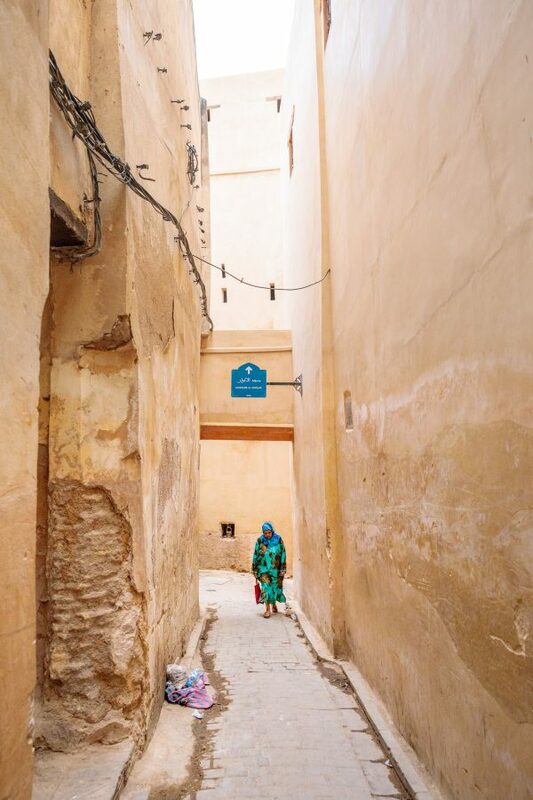 Still astonished by the narrowness of the streets, all the action and the life flow generally… Well, everything took my attention. 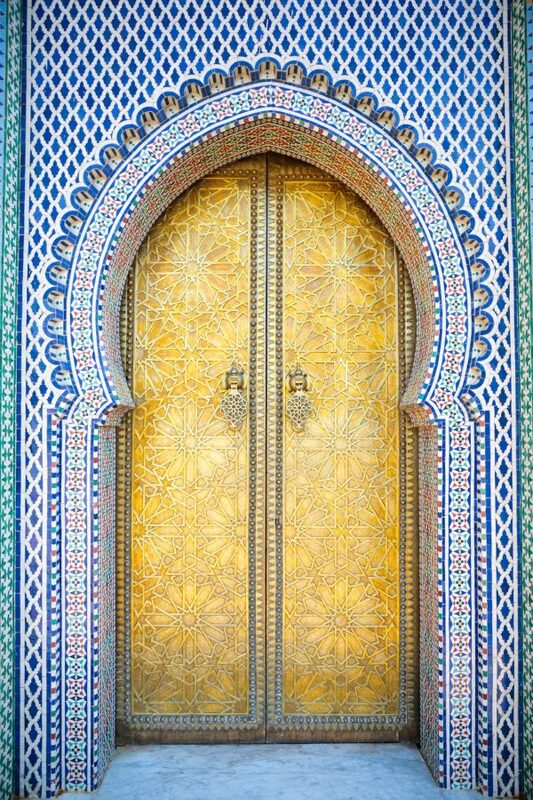 Palace can be appreciated only from the outside, behind those beautiful (locked) doors are extensive landscaped grounds, intricate mosaics, small mosques, painted ceilings, and a madrasa. I thought I am gonna stop at one of the markets, but since I am a mosaic enthusiast, I had to see where the handcraft takes place. 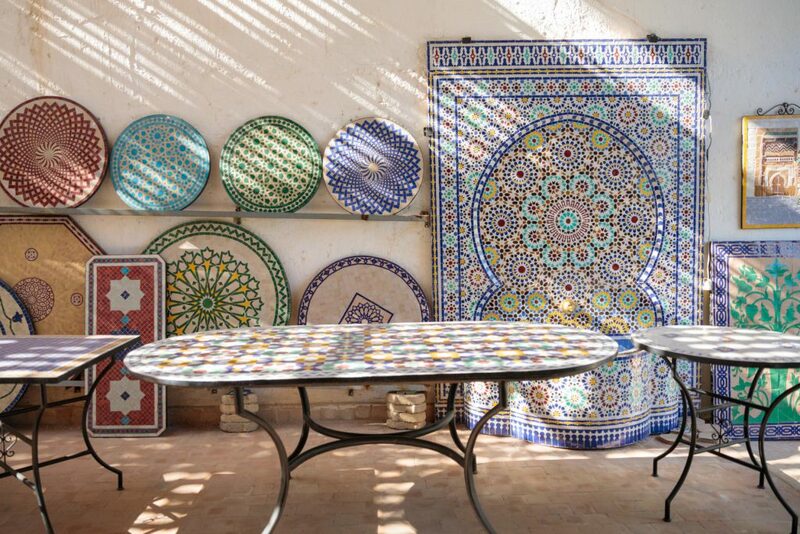 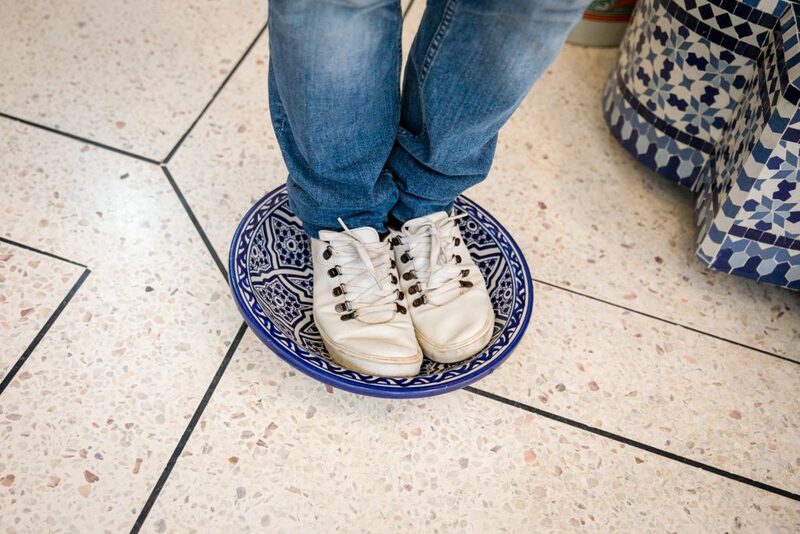 Wanna see what I have learned about the tiles and Moroccan pottery? The region of Fez has one of the best quality clay in Morocco. 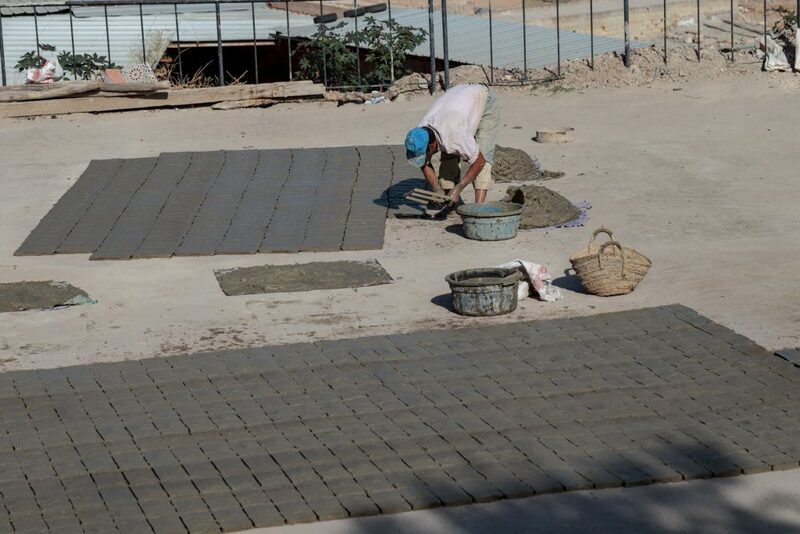 Finding a good quality clay is extremely important to produce a top quality product- tiles. 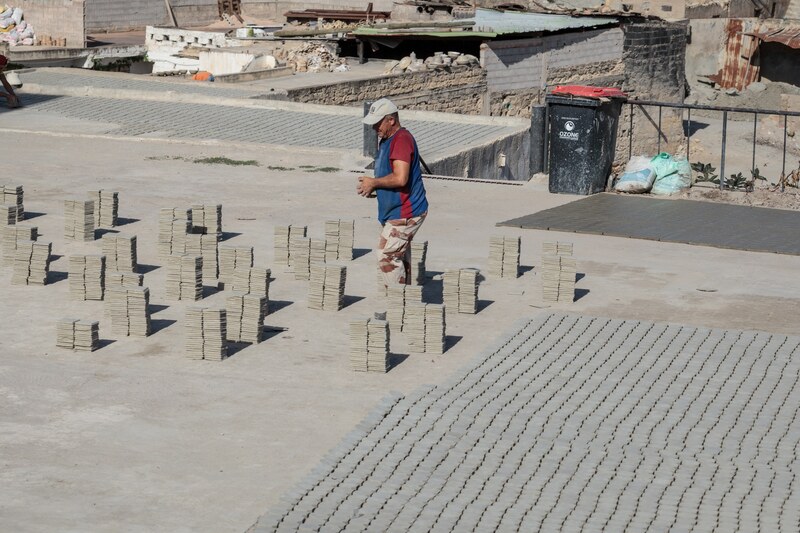 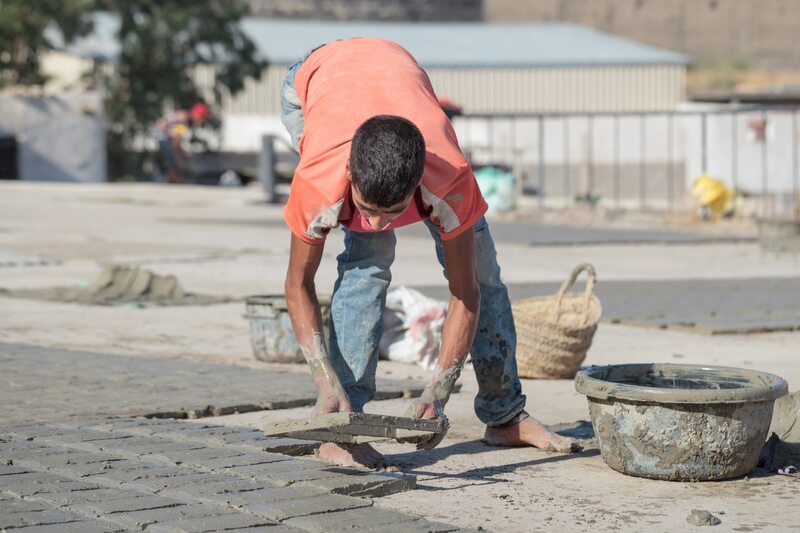 After filtering the clay a skilled craftsmen flattens the clay by hand into a square shapes. This part is very important because the clay must be compact with no air bubbles in it. 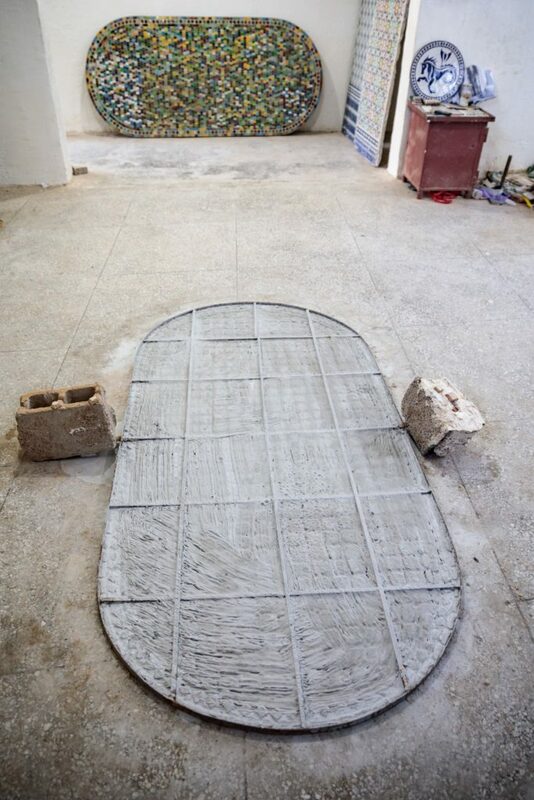 The tiles are now placed in the natural wood fired kilns. In traditional moroccan kilns heat circulates unevenly giving slightly different tones of colors to each tile. 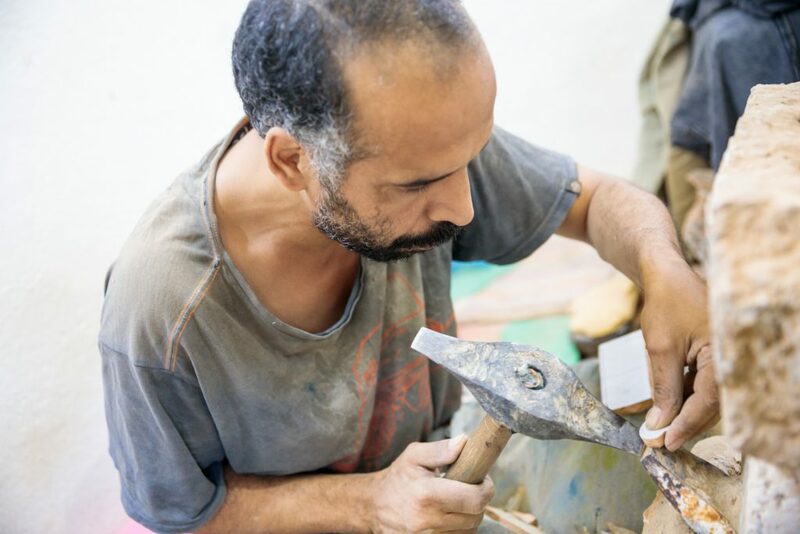 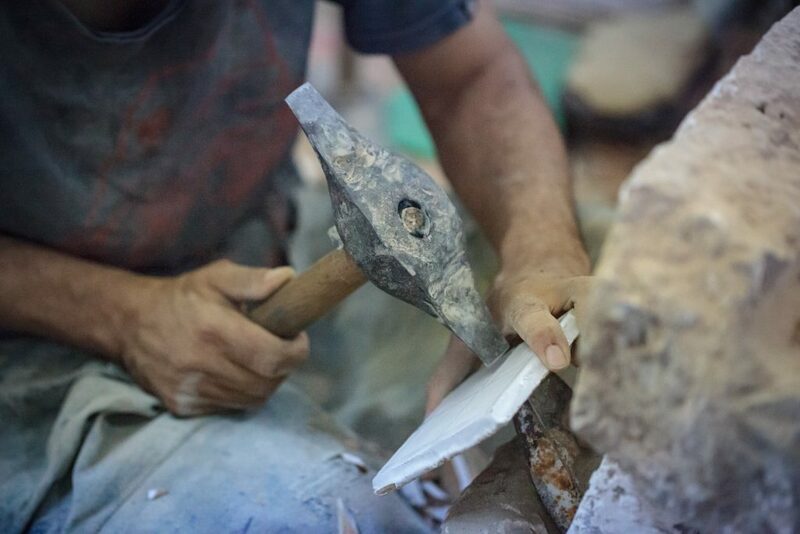 The second craftsmen roughly cuts and shapes the tiles with the help of a sharp tool that looks like a combination of an axe and hammer, this medieval tool is called “menkach” and it is hand sharpen on a natural rock. 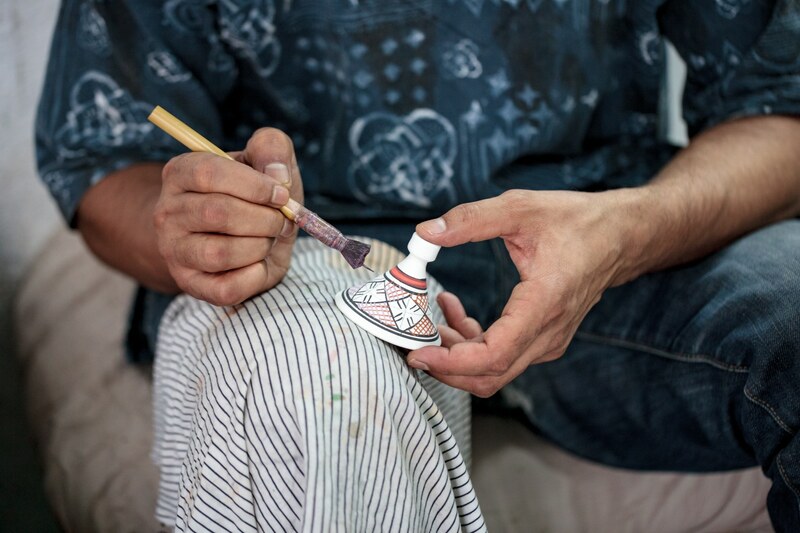 After a three component ISO certified glue is applied. 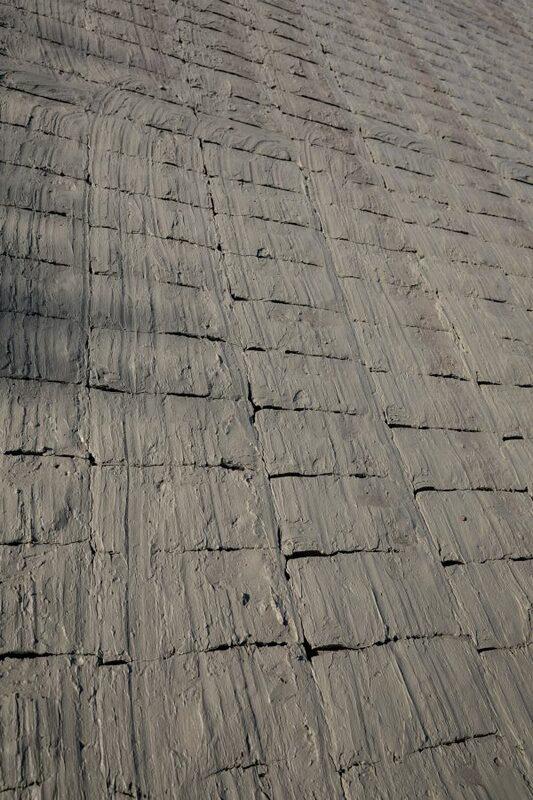 It takes 24 hours for glue to dry completely. Once the tiles are dry, sheets are ready to be installed. 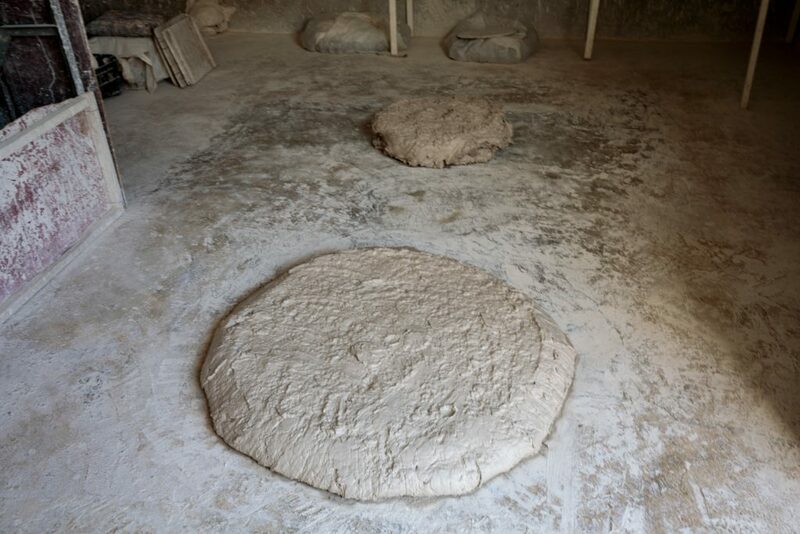 The clay is soaked in the water until it reaches a soft texture. 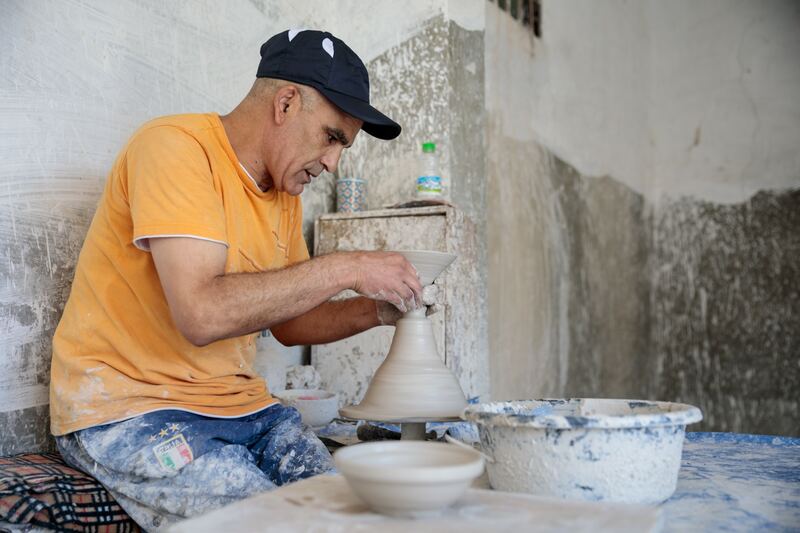 Once the clay is soft enough to handle it is filtered by hand. Clay is kept and stored in a cool dry place after being shaped, molded and flattened, to be readied for a first bake. 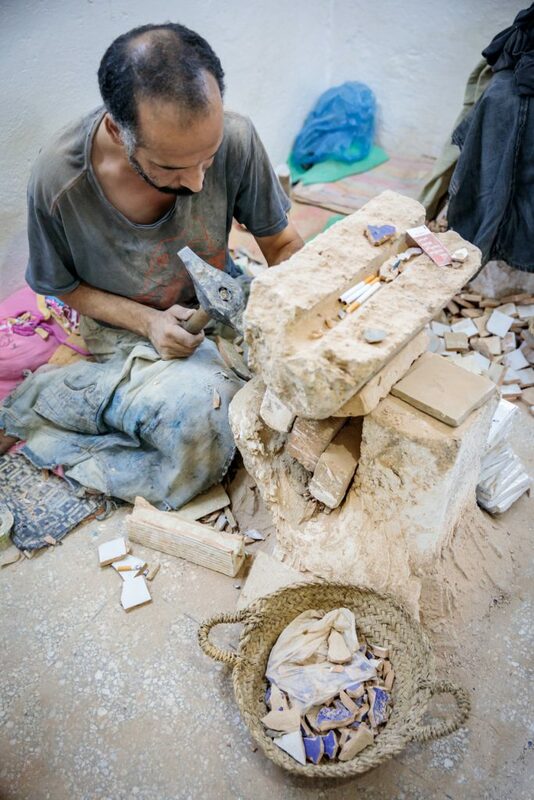 A master craftsmen specialized in cutting of all the excess clay and applies precision cutting. 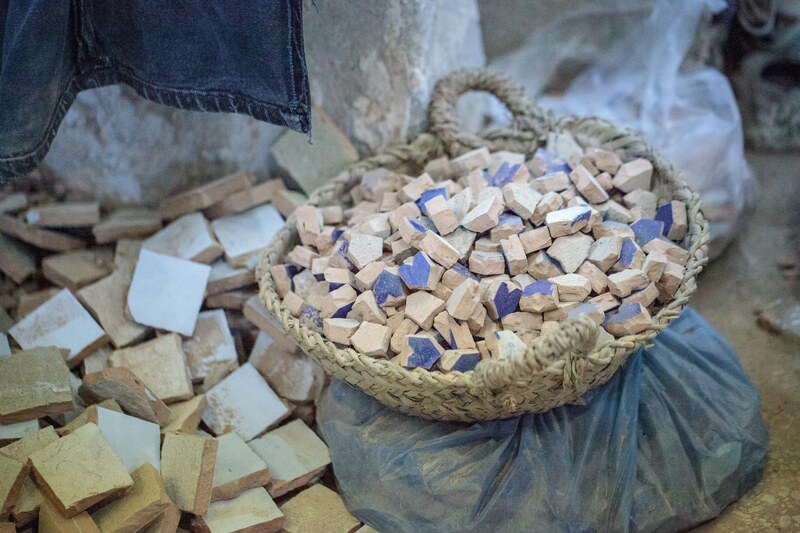 The end results are all these different types of shaped pieces that will be assembled to create the zellige patterns. 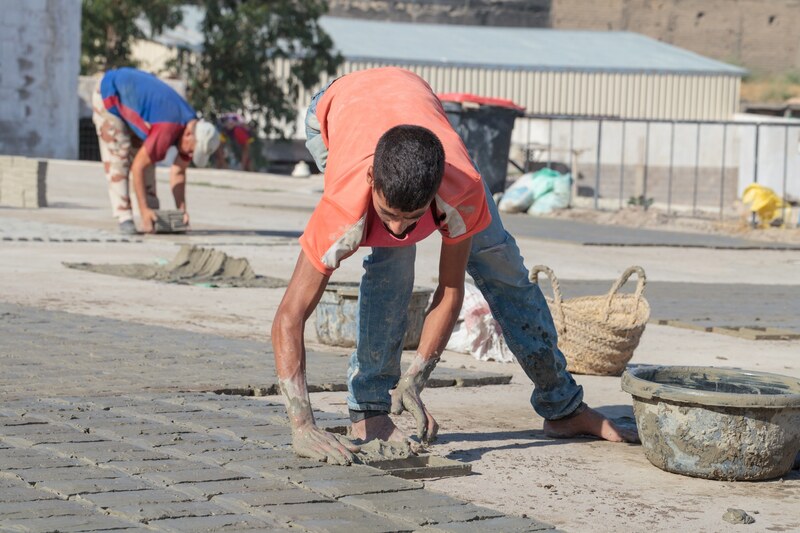 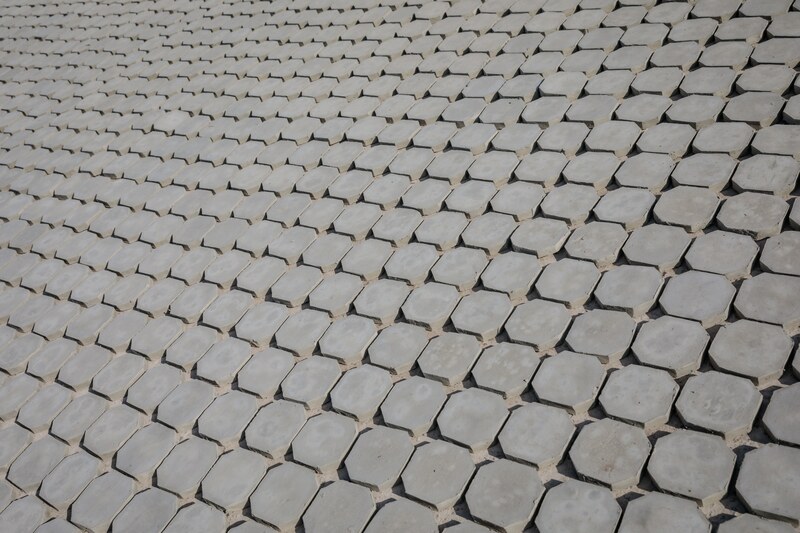 Most tile production takes place in the summer, early fall and spring. The square raw clay tiles are then sundried in an all natural way. After tiles are well dried another skilled craftsmen applies the colors to the upper part of the tiles. 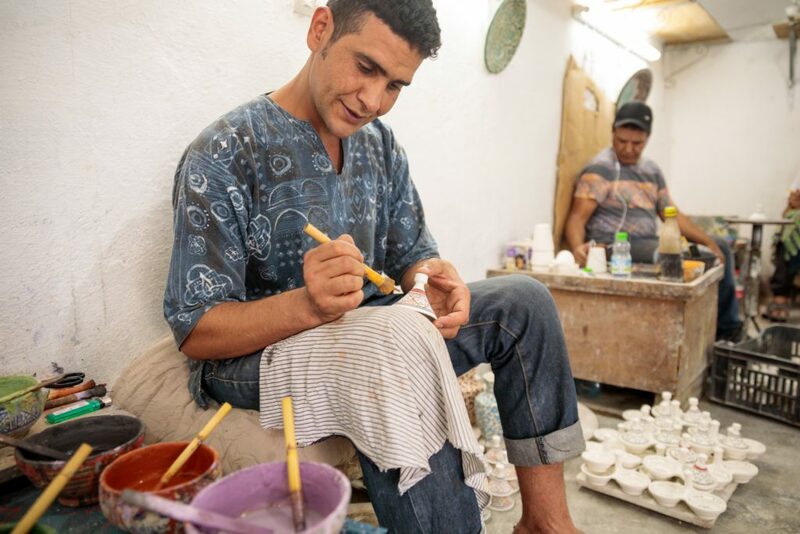 Groups of artisans carry on centuries-old traditions in their designs, passed on through families. 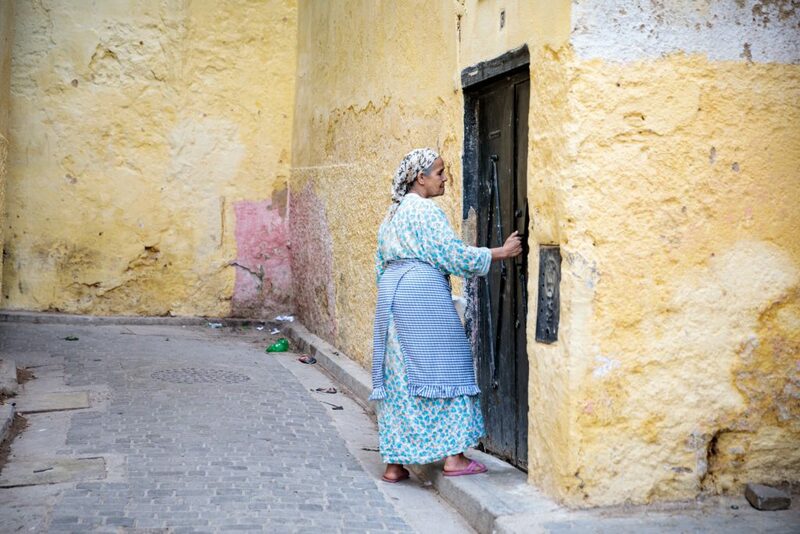 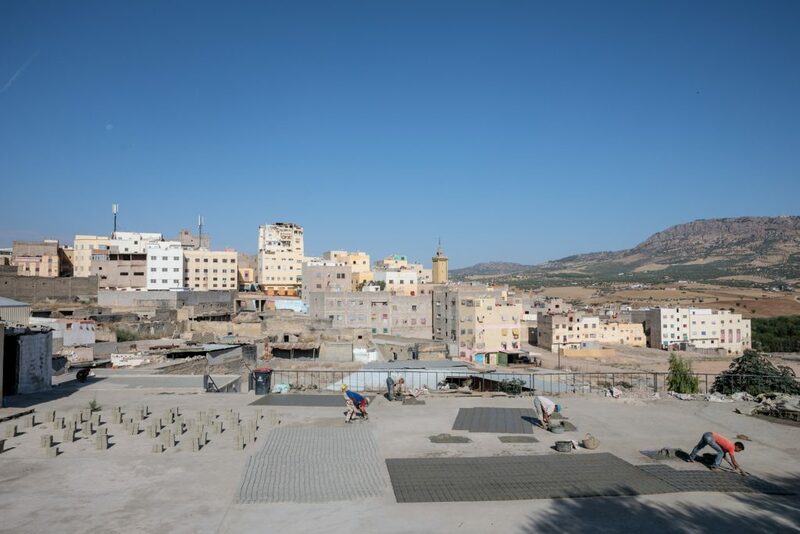 … enthusiasts will find an extra interest in the town of Safi, considered the capital of Moroccan pottery. 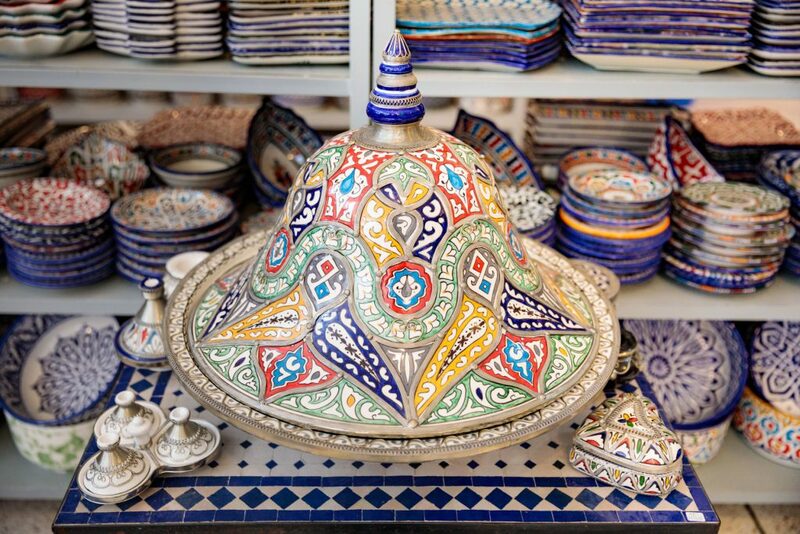 Moroccan pottery design is heavily influenced by Islamic or Berber art. 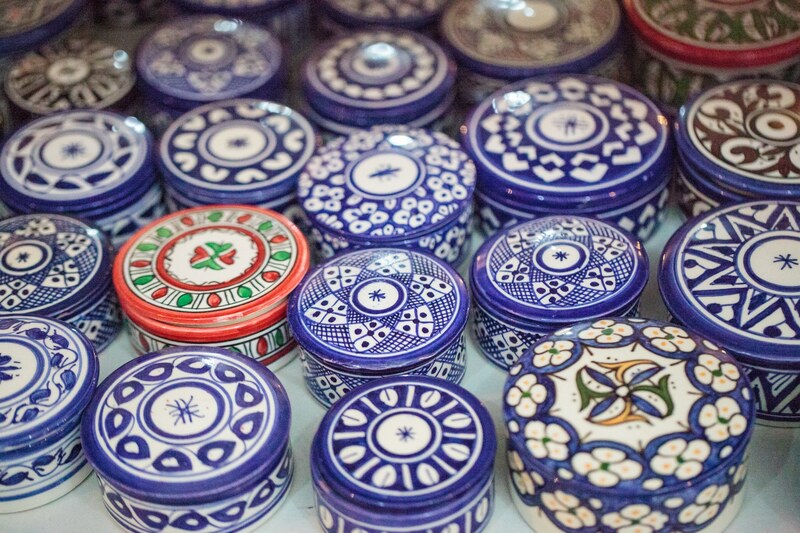 Pottery is generaly covered with complex geometric, arabesque and beautiful, rich patterns. Very hard to miss it. 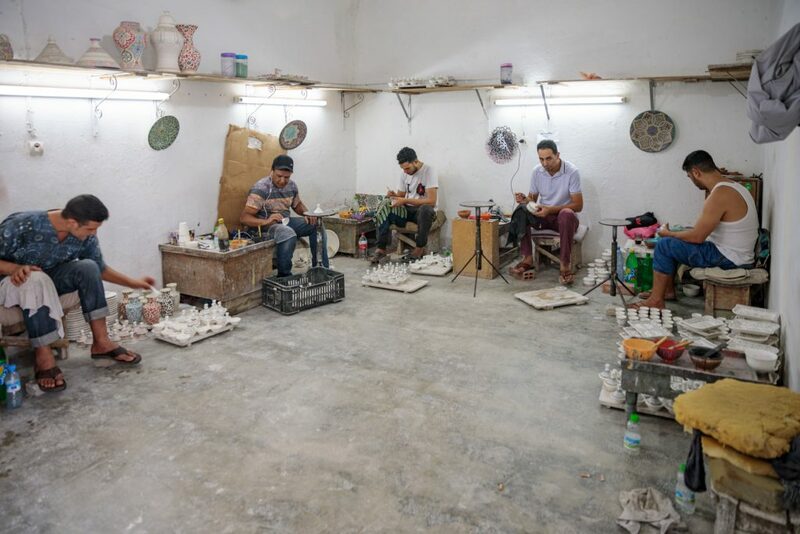 A tajine pot or tagine for Maghrebi dish. But this one on the image is meant only for decoration.